To facilitate the growth and coherence of the Central Asian Studies field the Central Asia Program at the George Washington University provides support annually for the best graduate student research paper in Central Asian Studies. 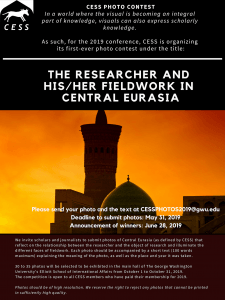 The winner will receive a $300 award and will be offered the opportunity to publish the paper in Central Asian Affairs. Applicants must be MA and PhD students writing a thesis or a doctorate on Central Asia. Postdoctoral scholars are not eligible to participate. The essay should be submitted in English (the MA or PhD thesis can be in another language). Historical papers will be accepted only if they clearly state how history helps to understand some current issues. Papers should be original research projects using primary sources, rather than reviews of existing literature. The essay should be between 6,000 and 8,000 words. 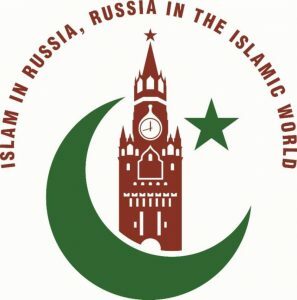 The Central Asia Program will review all applications and pre-select the top 10 papers. Applicants will be informed by email if they have been preselected. The pre-selected applications will be sent to an Advisory Committee for anonymous reviewing and ranking. Submit your application through the online application form by November 15, 2017. Janyl Moldalieva is a Ph.D. Candidate in Public Policy and Policy Analysis at UNU-MERIT/Maastricht Graduate School of Governance (MGSoG). Her research looks at transparency and accountability policies in natural resource governance. She explores how actors at different governing scales enact relational politics to shape transparency and accountability dynamics in natural resource governance. Janyl held a visiting scholar position at the George Washington University in Washington, D.C. and Exeter University, UK. She was also a visiting fellow at Columbia University, New York, and Accountability Research Center at the American University in Washington, D.C. Janyl has also worked with international organizations on governance and public policy issues. Laura Tourtellotte is an anthropology PhD candidate at Boston University, where her research focuses on pronatalism, “gender politics,” and access to crisis social services in Almaty, Kazakhstan. She received her MA from Harvard University in Regional Studies: Russia, Eastern Europe, and Central Asia in 2014, where she studied work-family balance among university-affiliated women in Almaty, Kazakhstan. She previously worked at the National Center for Prevention of Violence “Anna” in Moscow as an Alfa Fellow (2014-2015). Before that, Laura worked as a program assistant for Central Asia and Belarus at the Center for International Private Enterprise (CIPE), and as a program assistant for Russia and Ukraine and the National Endowment for Democracy (NED). Laura received her BA in Global Studies: Russian and Post-Soviet Studies from the College of William and Mary. Joshua Kucera received an MA in Regional Studies — Russia, Eastern Europe, and Central Asia from Harvard University. 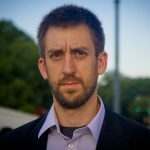 He has worked for several years as a journalist covering Central Asia and the Caucasus and is currently the Turkey/Caucasus editor at EurasiaNet, based in Istanbul. He has a BA in Philosophy from Williams College. 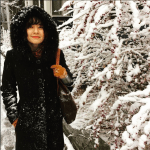 Gulnora Iskandarova received a BA in Cultural Anthropology from American University of Central Asia, Kyrgyzstan, in 2016. 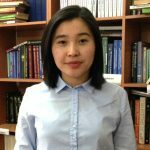 Her BA thesis is about agriculture and bean production in Talas region of Kyrgyzstan and entitled “Socio – Economic Life around Beans in Kyrgyzstan: Practices, Discourses and Local Households.” Her research interests include cultural and economic anthropology, migration, agriculture, education, and quality assurance. She plans to earn her MA in education, particularly in research, policy making and management. Malika Bahovadinova is a PhD candidate in Socio-cultural Anthropology in the Anthropology Department at Indiana University – Bloomington. 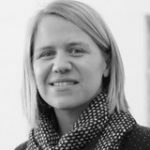 Her research interests include the anthropology of state and bureaucracy, migration, political anthropology, poverty, and Central Asia. Her dissertation research focuses on migration management and policies regulating labour migration through an analysis of their bureaucratic practice in Tajikistan and Russia. During her PhD research, she conducted fourteen months of fieldwork in Tajikistan to study the application of local and international agendas in the field of labour migration. 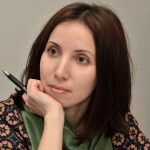 Ms. Bahovadinova holds a degree in International Relations from the Russian Tajik Slavonic University and an MA in Peace Studies and Conflict Resolution from the University of Notre Dame. Damira Umetbaeva is a PhD candidate at the European University Viadrina in Frankfurt, Germany. 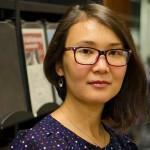 Her doctoral thesis is entitled “Nationalizing Kyrgyz State: Of History Textbooks and History Teachers’ Attitudes toward the Soviet Past”. She received her BA degree in Cultural Anthropology from the American University in Central Asia (AUCA) in Bishkek, Kyrgyzstan and MA degree in International Relations from the Corvinus University in Budapest. 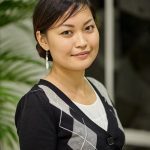 Damira has taught at the Anthropology Department at AUCA from 2006-2008. From October 2008 until April 2012 she was a research fellow at George-Eckert Institute for International Textbook Research in Braunschweig, Germany. Edward Lemon is a PhD candidate in the Department of Politics at the University of Exeter. In his research, he examines the connections between Islam, (in)security and secularism in Tajikistan. 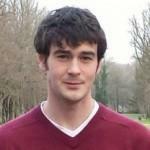 Before starting his PhD, Edward spent two years working for the Eurasia Foundation of Central Asia in Tajikistan. Edward holds a Bachelor’s degree from Kings College London and a Master’s degree from the University of St Andrews.